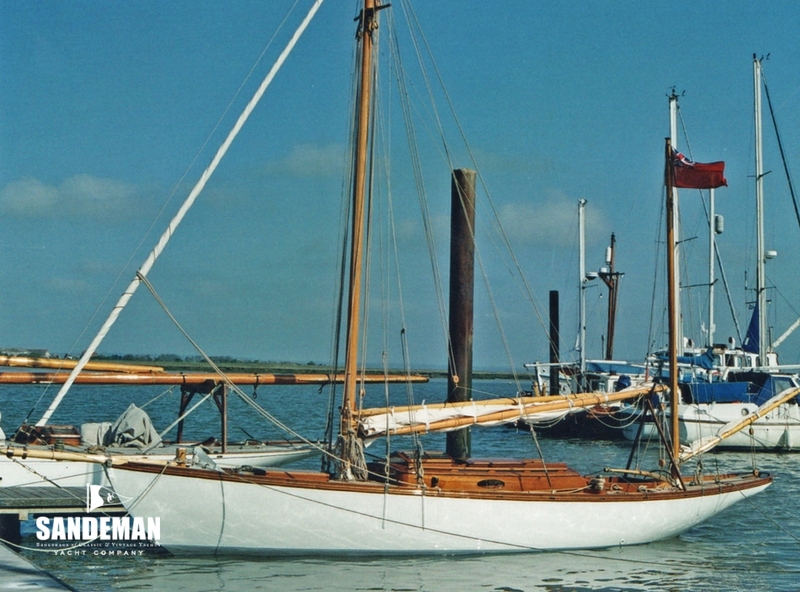 For lovers of elegant small yachts combining artistry with practicality perhaps no other designer embraced this genre like Albert Strange. 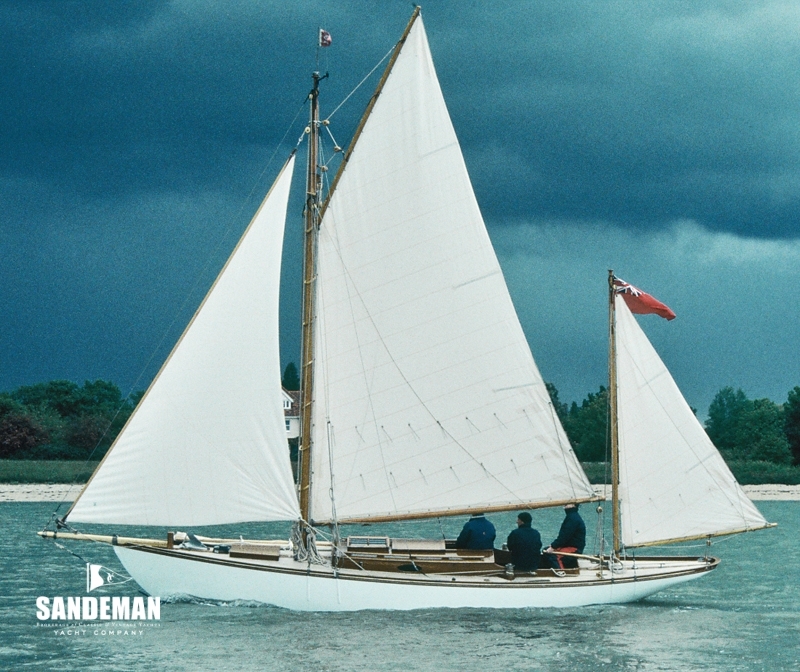 His boats were simple in concept yet sophisticated in their detail; practical and moreover capable of handling the worst of weathers. 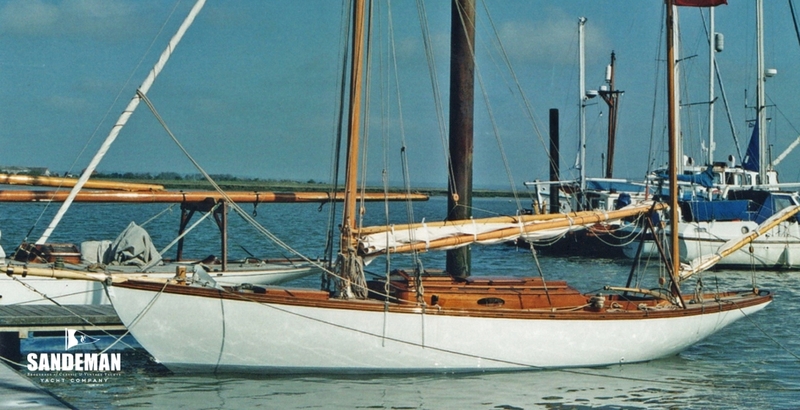 Albert Strange was designing yachts in the period in which the Yachting World was focussed on big yachts with many crew. 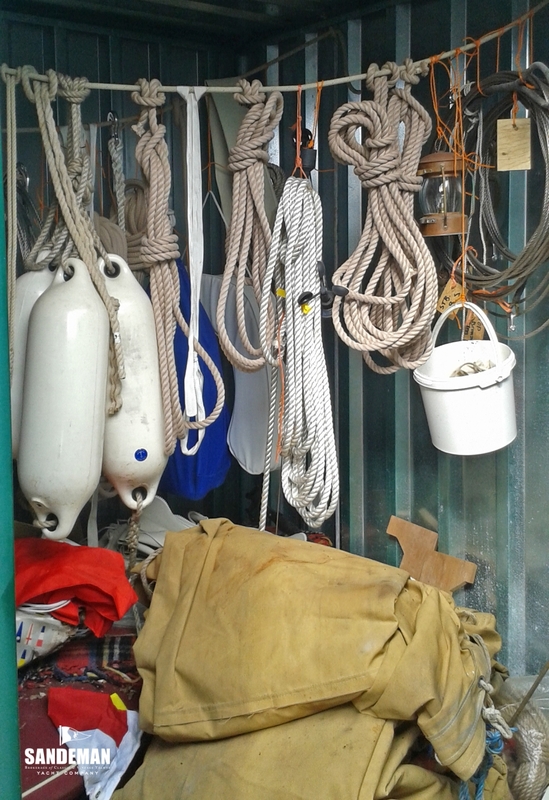 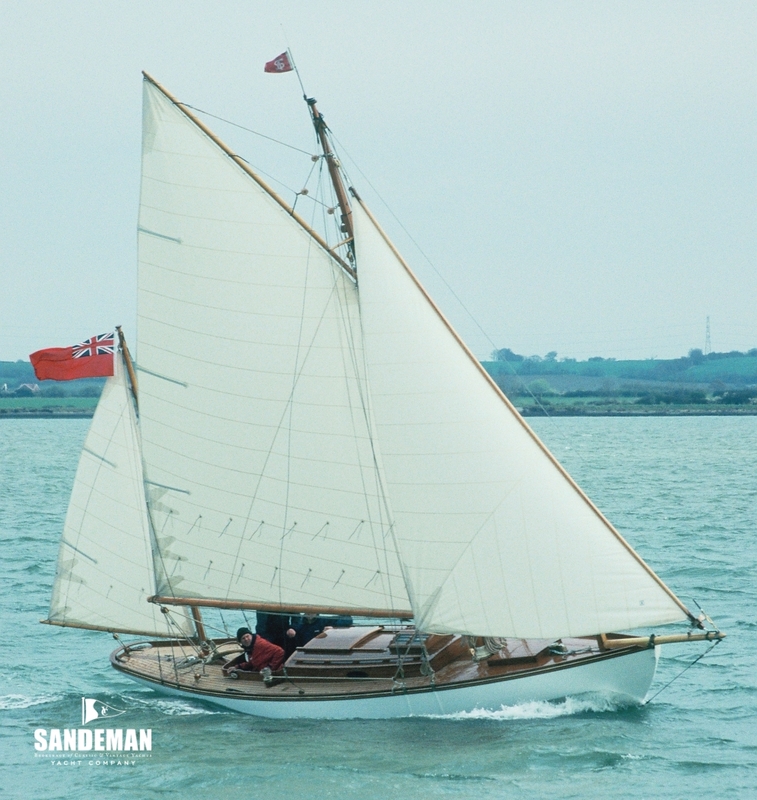 His enthusiasm however was for vessels accessible to those of more modest means – and that could be sailed single handed. 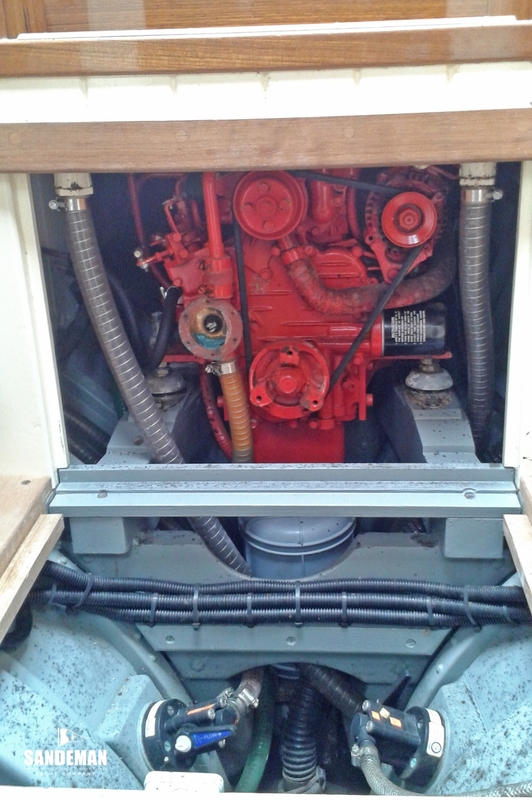 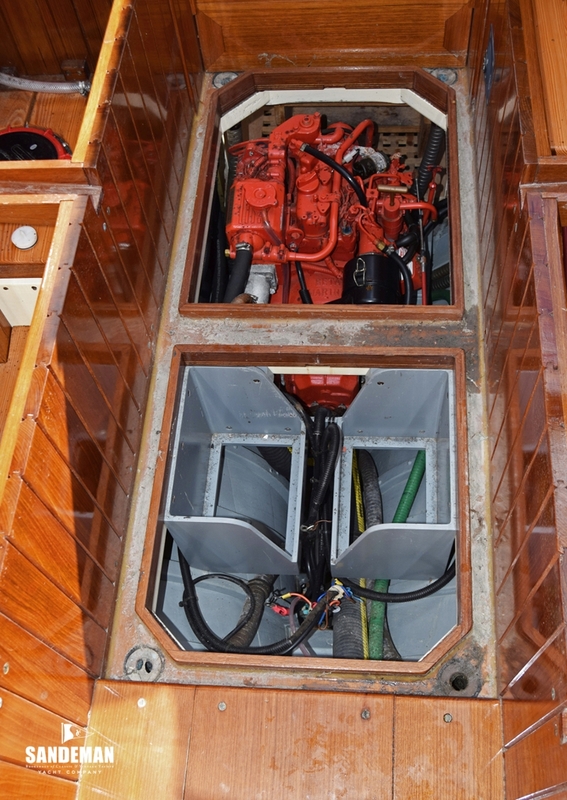 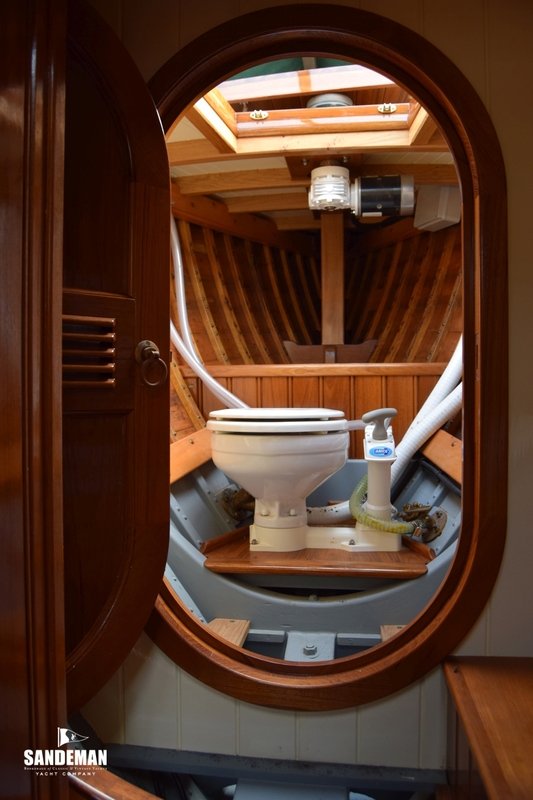 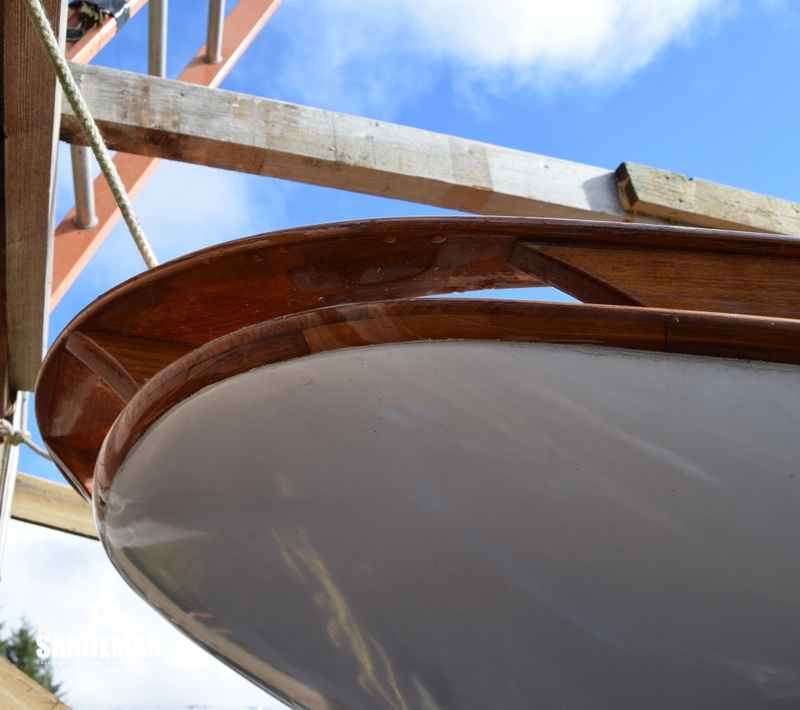 From 2004 to 2007 VENTURE was totally rebuilt by boat builder and Albert Strange aficionado Jamie Clay; her restoration to the highest standards and seemingly regardless of expense. 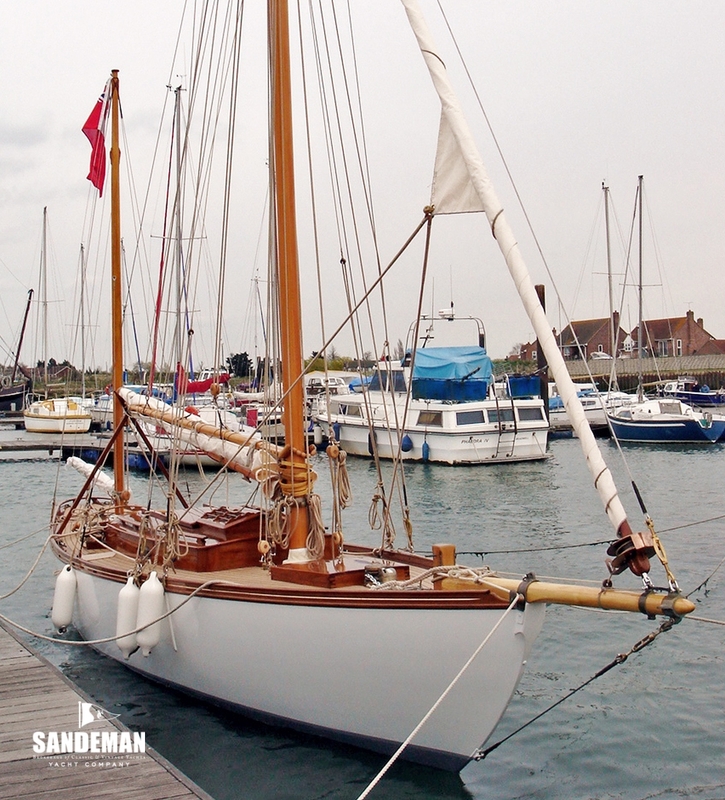 This is an incredible yacht in near perfect condition; beautiful, brave, businesslike – and without any pretence. 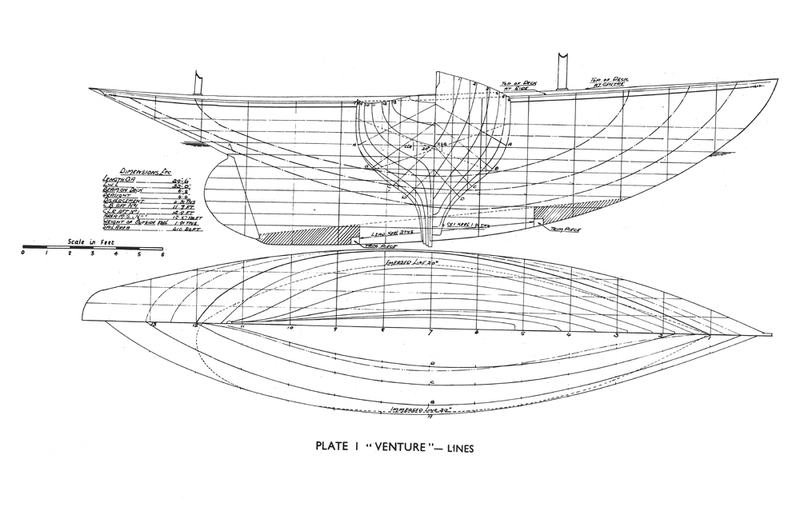 VENTURE has a very particular place in the already special Albert Strange story. 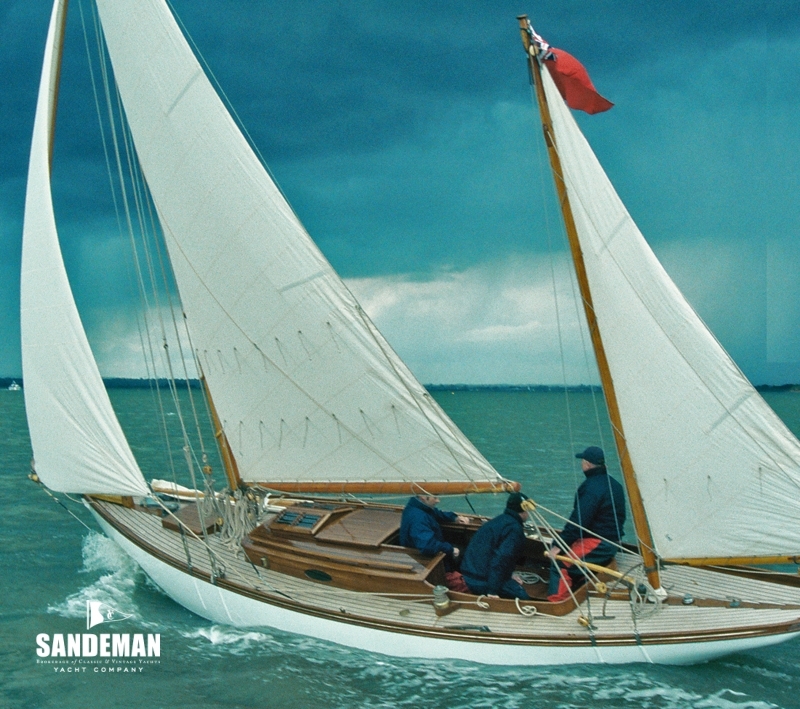 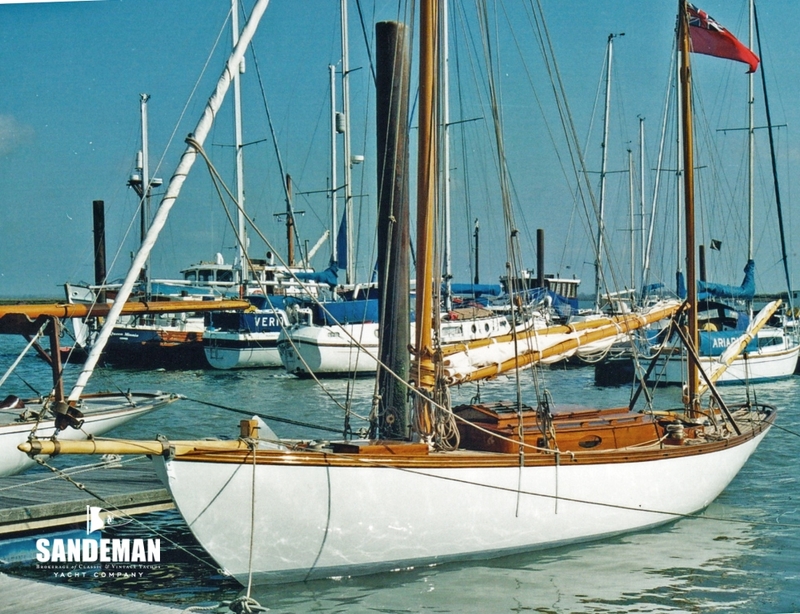 She was the last design to be completed before his death in 1917 and one of the most successful - spawning a copy and three longer cousins built up to seventeen years after she was first launched by Albert Wooden of Oulton Broad, Norfolk in 1920. 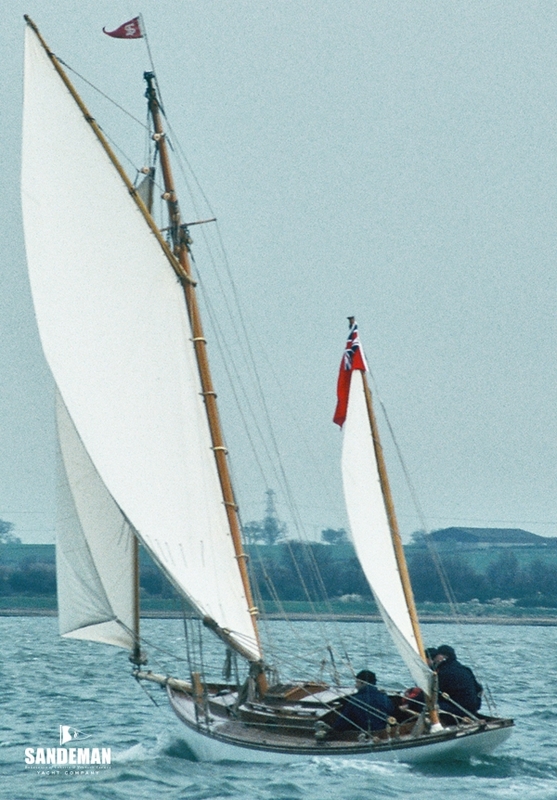 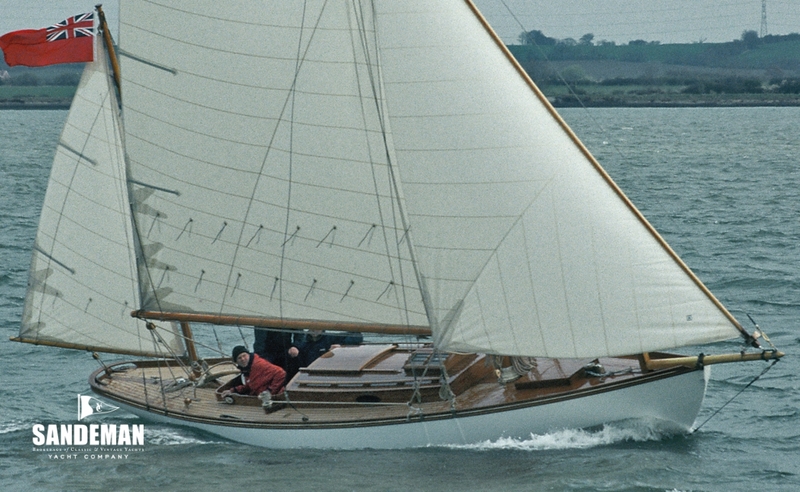 For her commissioning owners, Great Yarmouth timber merchants HJ and ND Suffling, she was the result of much thought - including illustrated discussion in the prominent yachting journals of the day - into the perfect single hander, an ability that was honoured during a major restoration by Jamie Clay Boatbuilding for her present owner. 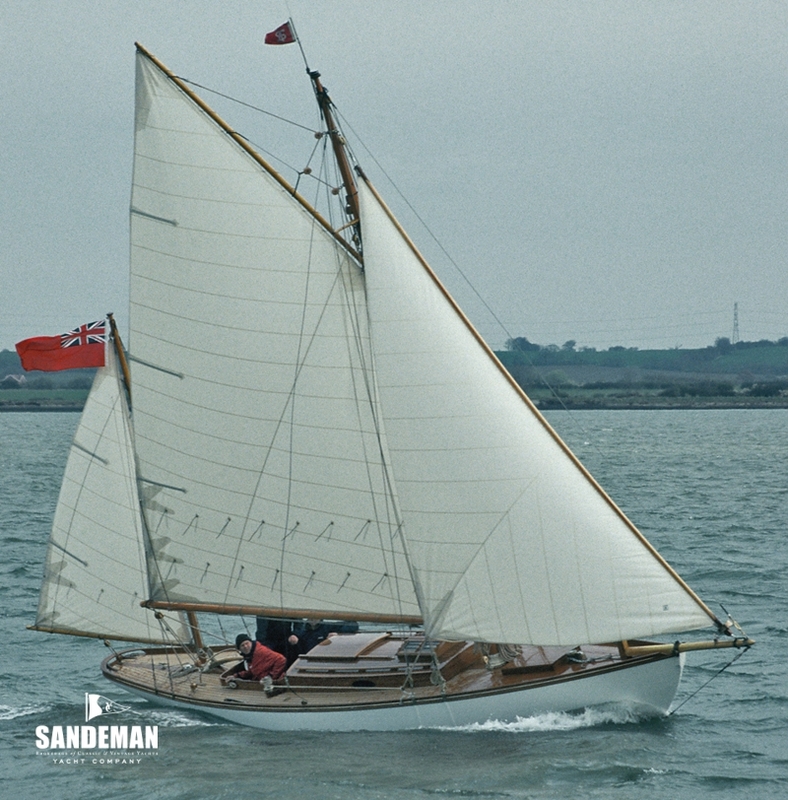 After two seasons of sailing east coast of England waters she was sold by the Sufflings to the west coast of Scotland and has remained based on Celtic seas; Scottish or Irish, ever since. 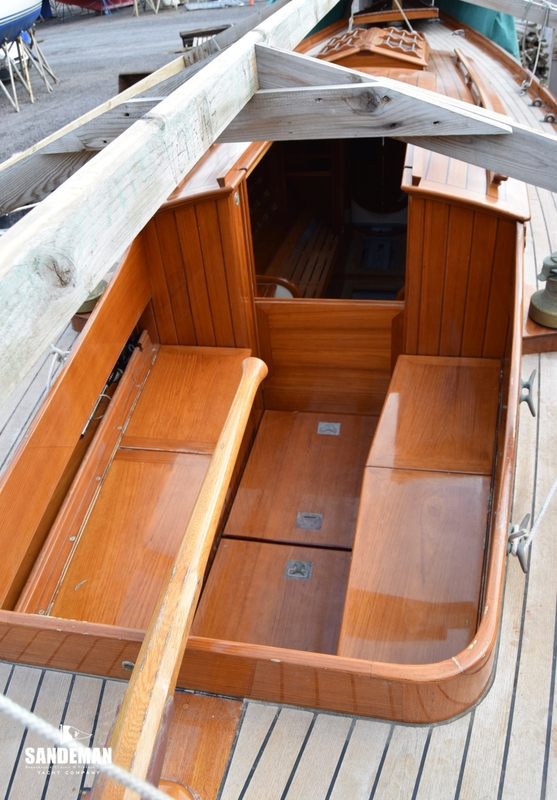 She was notably owned for over thirty years by prominent Clyde Cruising Club member Ian Taggart, who first introduced her eventual restorer to VENTURE's enduring charm and beauty, and ability as a thoroughly seaworthy, sea kindly, easily handled and comfortable fast cruiser. 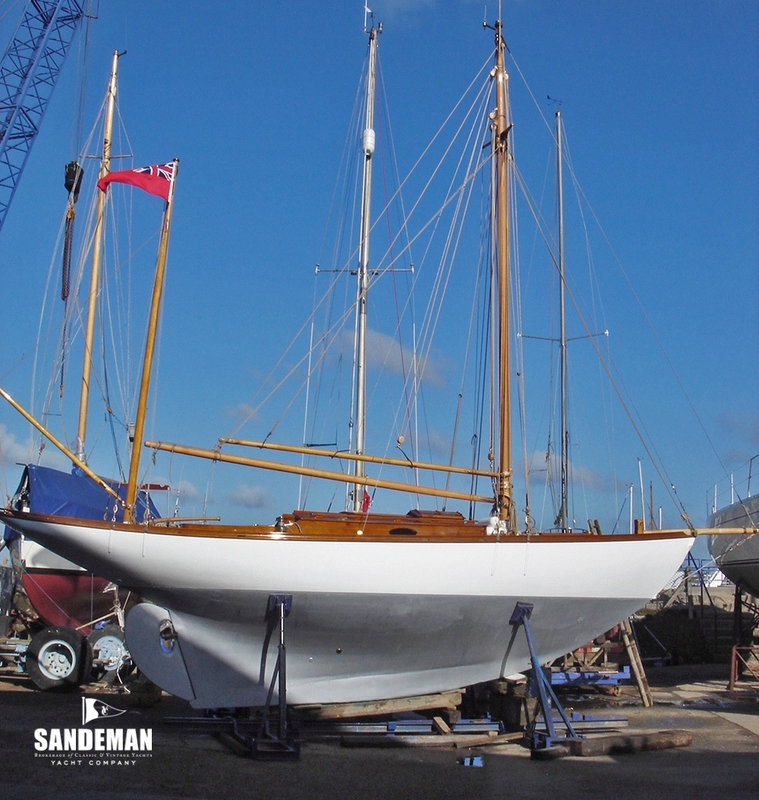 VENTURE's meticulous restoration completed in 2007, and great care in storage, sees her fit to sail well into her second century. 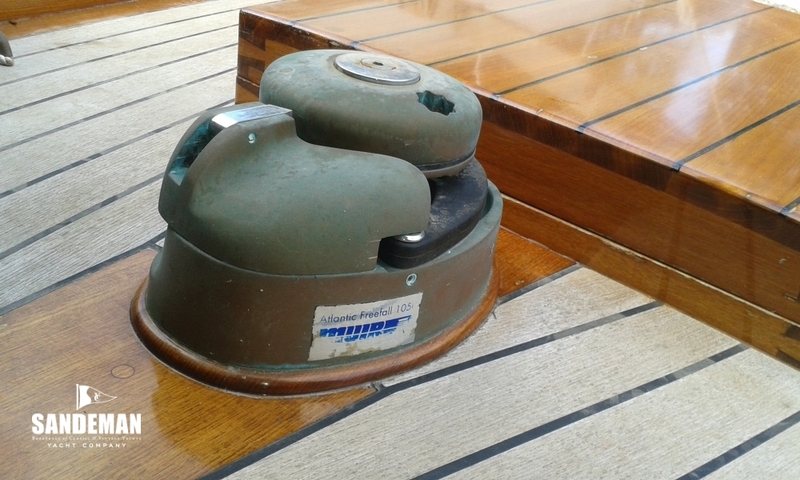 - Covering board outer edge sits proud of topsides. 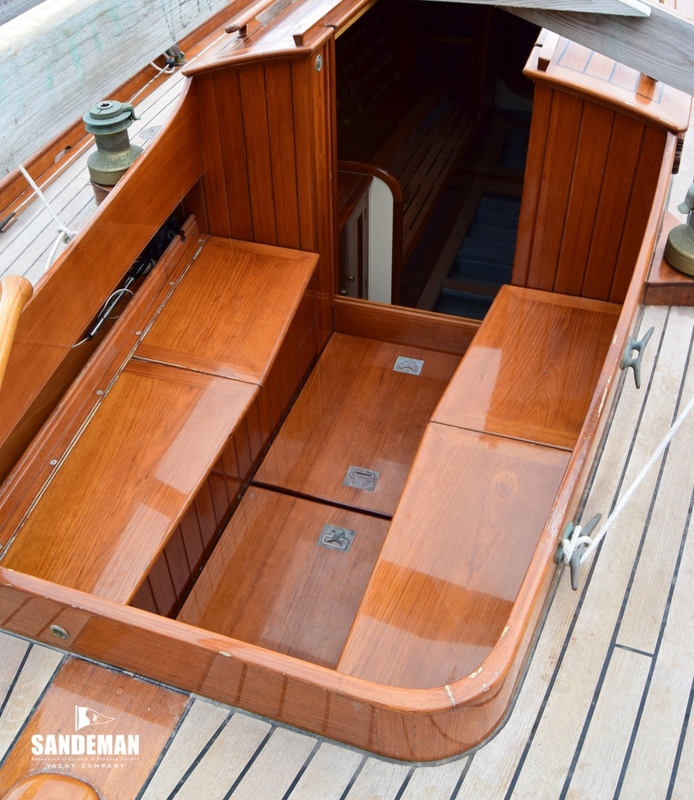 - Teak grab rail each side of margin board. 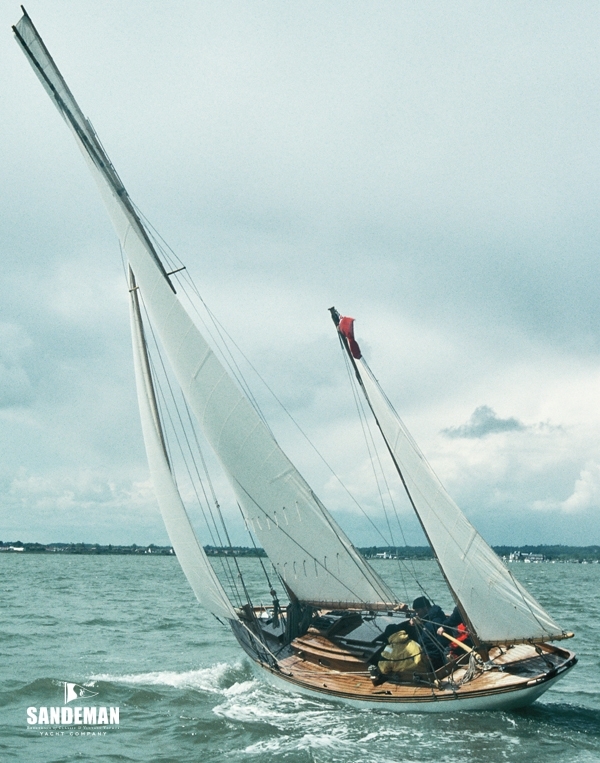 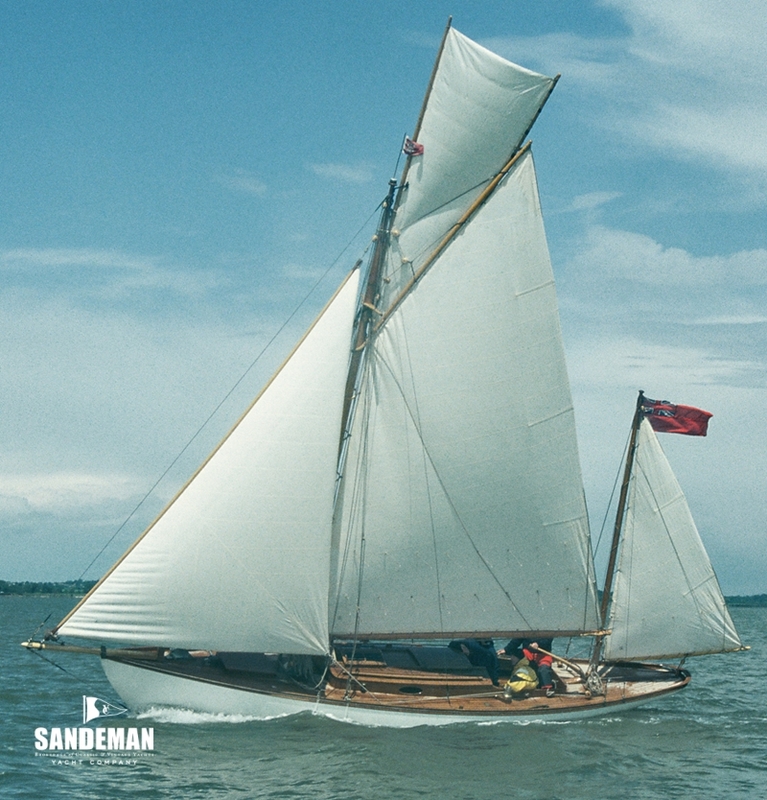 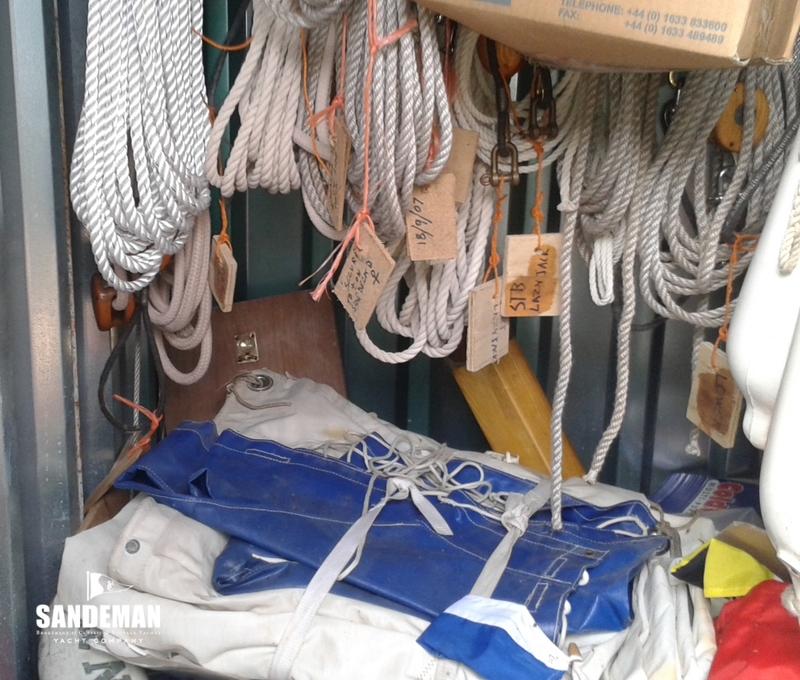 A meticulous, well documented and publicised complete rebuild / restoration was carried out by Jamie Clay Boatbuilding at Maldon, Essex, England, from 2003 – 2007, during which the lead keel, stem, 70% of hull planking and 20% of timbers were saved according to sound criteria. 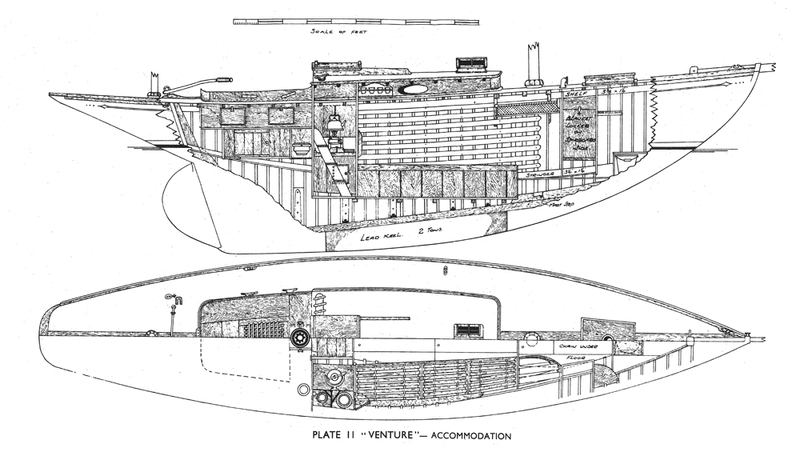 Published drawings - found to be very accurate enabled the general arrangement; especially the trunk cabin, cockpit and rig details to be restored to very close to the original appearance. 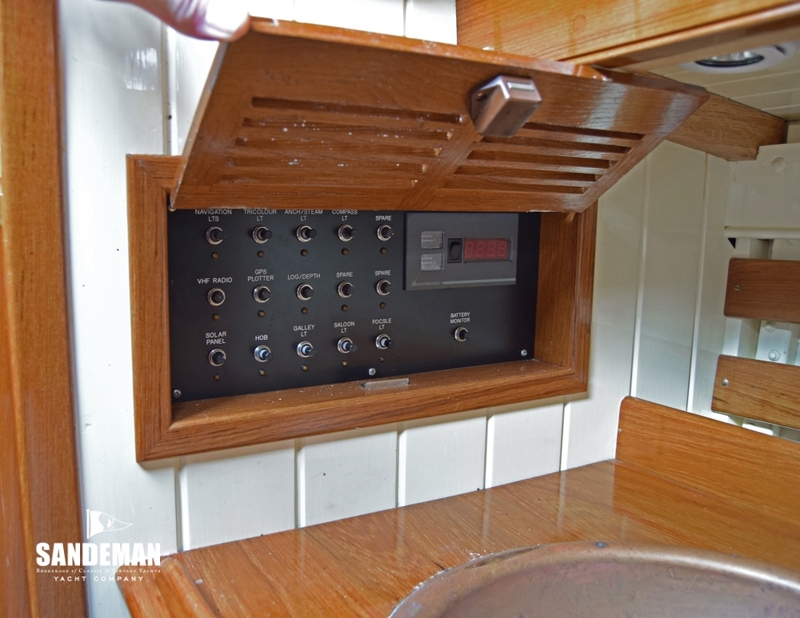 The attractive trunk cabin appearance was restored from the drawings as the original had been replaced and discarded in the 1960s. 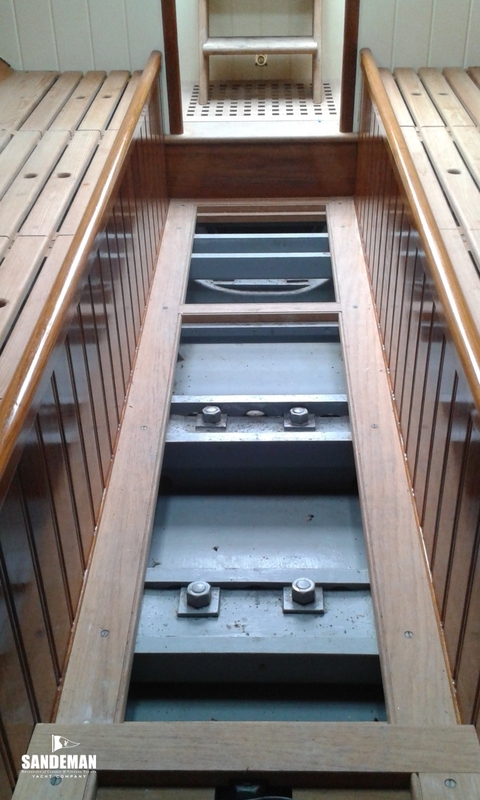 The effect has been achieved by giving each beam a different camber. 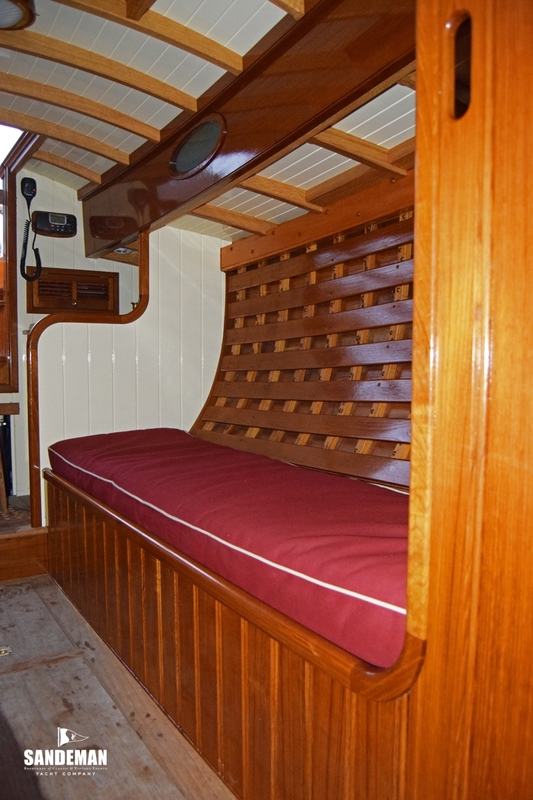 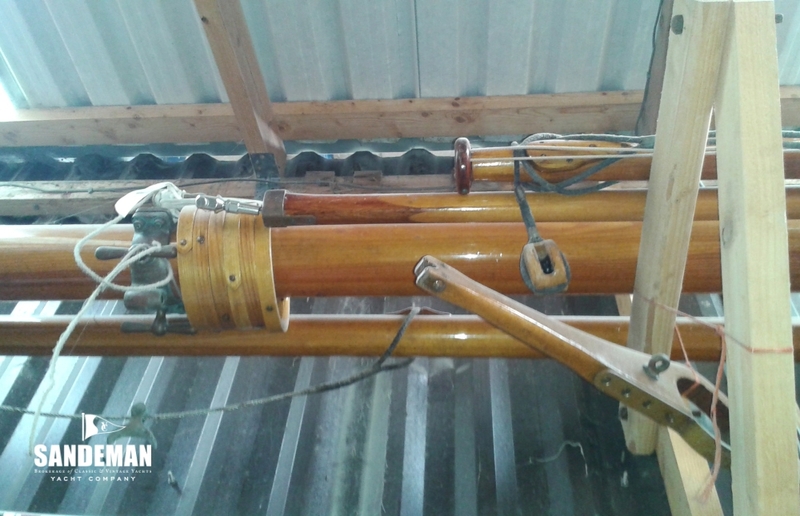 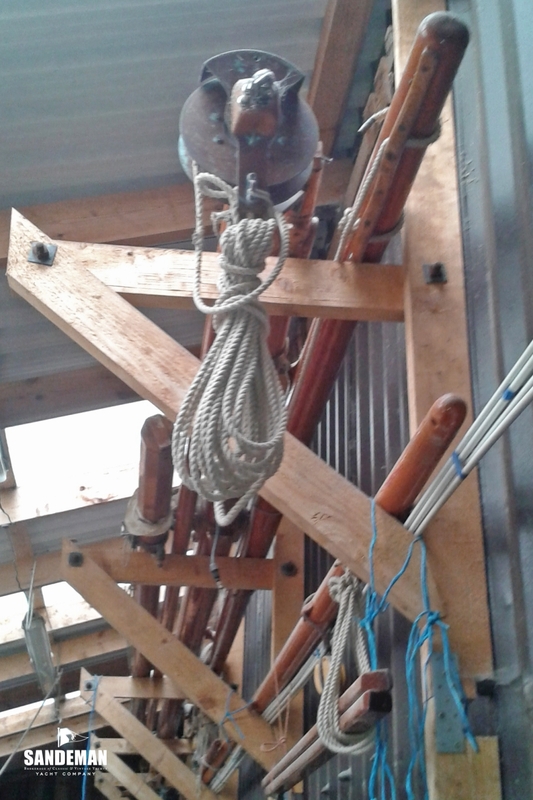 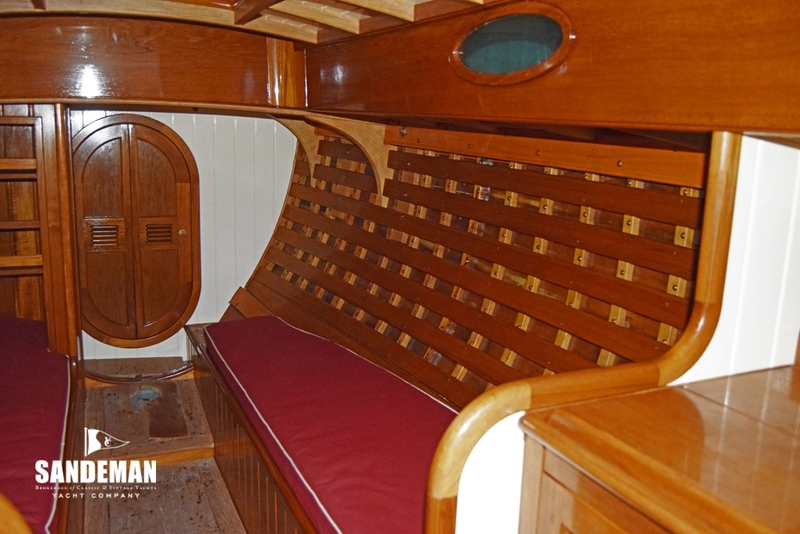 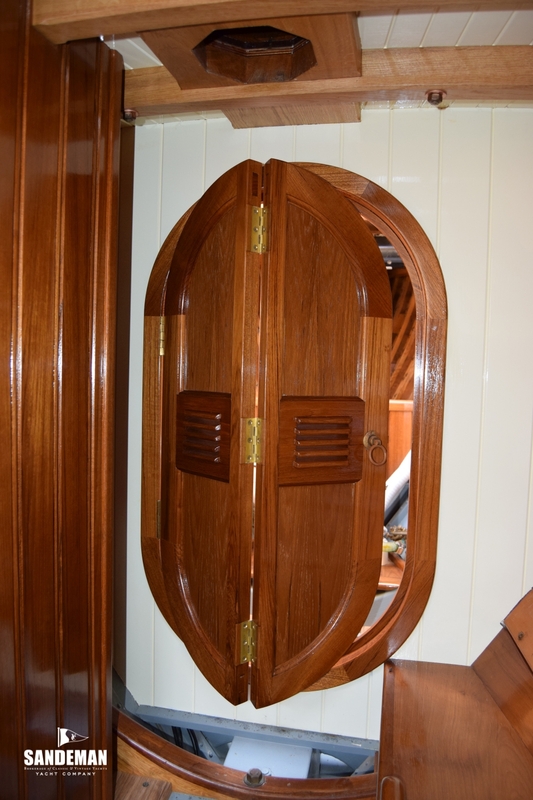 The 14 ft / 4.3 m overall length of the cockpit coaming and trunk cabin teak boards was achieved during the restoration by purchase of a log specifically for this purpose. 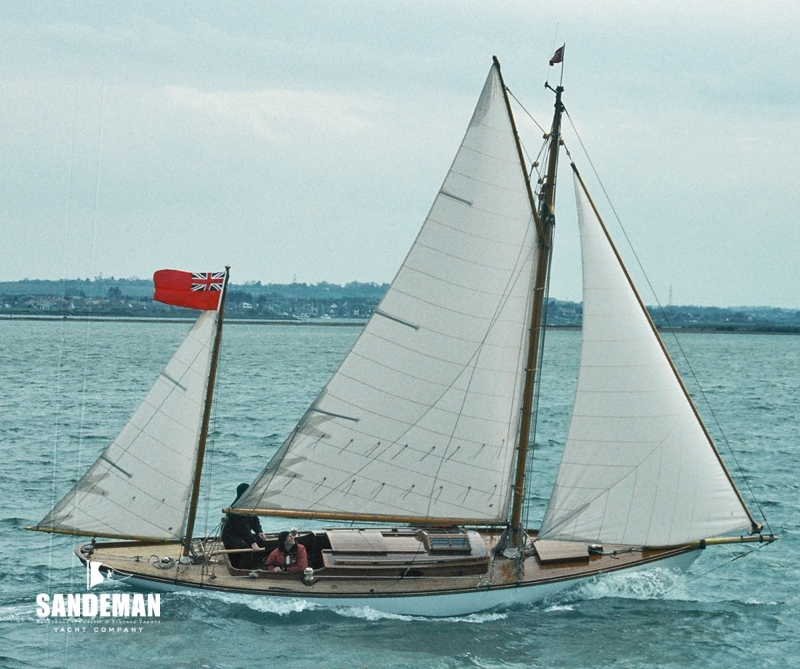 VENTURE was sailed on post-launch trials in 2007 at Maldon, and very lightly on the west coast of Scotland, following which she has been very carefully and successfully laid up under the care of Ardfern Yacht Centre.